1. Adults that pick their nose and eat it…yes, I have seen this especially with men driving cars (I have not seen women yet). What they hell are they thinking? I know woman mature faster then men but that is ridiculous! 2. People kissing animals on their mouths…I know this one is more common but sorry, do they not see where animal’s mouths have been? They lick anything and everything! 3. Ok, this one is not ordinary but I hate to see people with bare feet (usually dirty) and they put them on their or other people’s couches. Sometimes people lay down on couches…I don’t want my head or face where your dirty feet were. 4. Speaking of feet, I once saw this guy with flip flops on and it looked like his feet have had no attention since he was born (and he was in his 50’s). I was eating lunch at the time and had to move my seat so they would not be in my view…that is how bad they were. Groom your feet! 5. Spitting is also gross…why do people think they can do this in public? First they make that sound in their throat getting the spit ready which is disgusting in itself. 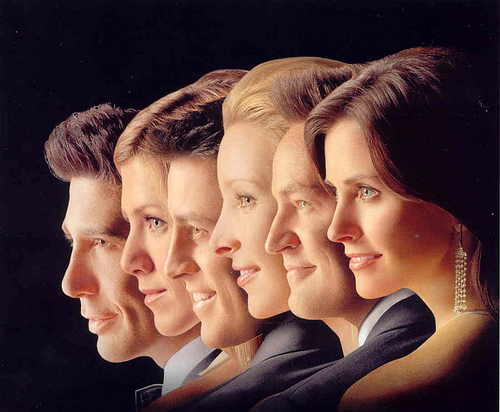 Then saliva from their mouth is ejected onto public areas…yuck! I was once eating on a restaurant patio and again, a 50 year old man exited the restaurant and spit…just a few feet from where I was eating. Disgusting! Here are just a few things from my list, what is on your list? Last night I met 3 friends for happy hour and after splitting the bill equally 4 ways there was an odd amount of singles left to be split when the server brought us back the change (server, not waitress, but that’s another post). So what does any normal group of people in a bar do to decide who gets that extra dollar change…you play rock- paper-scissors (we’re not a cheap group of people but we like to have fun). Now to be honest I don’t know this game well, I have only seen other people play. I grew up on the east coast and we didn’t play this, we did odds or evens. Once, twice, three…shoot! This game at least makes sense to me; it is either odd or even. 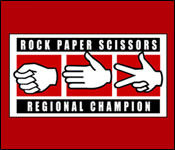 This RPS game is odd, rock crushes scissor, scissor cuts paper and this one makes no sense to me…paper covers rock. Paper covers rock; that is just dumb. Then my curiosity got the best of me this morning and I read up on rock-paper-scissor aka rochambeau on my pal Wikipedia. I couldn’t find a date of origin but learned they actually have an RPS Society and a RPS League. I may look into this league since it is sponsored by my beer of choice, Bud Light! There is a Las Vegas tournament that you win $50,000, how could I have not known about this other world. Is this game not luck, don’t you just stick out one of three hand gestures? Now I did find that the East Coast version, odds or evens (aka Morra) goes back thousands of years to Ancient Roman and Greek times. When up to me I will always choose this version of the game, makes more sense; a rock could easily tear up a piece of paper. Here are a few quotes from some of my favorite shows, please share your fav’s! Alex: Mallory, someone stupid called… sometime today… about something trivial. Mallory: Alex, you know that could be any one of my friends. Becker: Who the hell is this guy? The president? Does he have the launch codes or something? I mean, how inflated does your ego have to be to think that the earth’s gonna spin off its axis if you miss a call? Frankly, I’d pay extra for a device that would make it harder for the world to find me. Lewis: Well, it’s simple. I’m a single, forty-one-year-old janitor. What’s God gonna do? Take that away from me? Frasier: You refused to take me to see West Side Story on my eighth birthday. Martin: Because of the gangs! Those would be scary to any kid! Martin: Especially gangs that dance! Chandler: Want some chocolate milk? Ross: No thanks, I am twenty-nine. Mike: My grandmother thought that a homosexual was a person who slept with one person their whole life. We were gonna let it slide but she kept telling the mailman she was a homosexual. Jack: Oh, yeah. I had to do it on my father when I told him I was gay… Only I think it just confused him even more.